Heinrich C. Berann produced a series of ocean floor maps for the National Geographic Society starting in 1966. 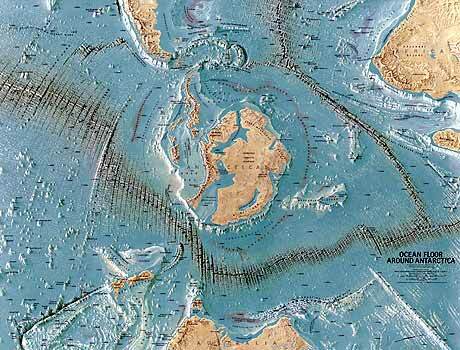 The map below is a typical example of his work depicting the ocean floor around Antarctica. “Ocean Floor Around Antarctica” by Heinrich C. Berann, 1972.